Beautiful aspens in the rugged and remote eastern drainage of Corbett mountain, on the east end of the Sneffels Range. Brilliant backlit aspens high above the town of Ouray, Colorado. Hayden Peak is in the background. 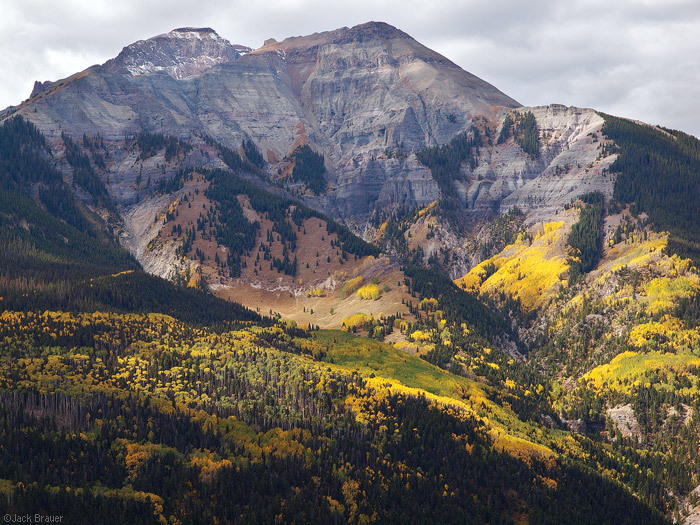 Posted in Colorado and tagged Colorado, Ouray, San Juans on September 29, 2009 May 19, 2013 by Jack Brauer. ← Previous: "Sunset on Sneffels Summit"
NICE! 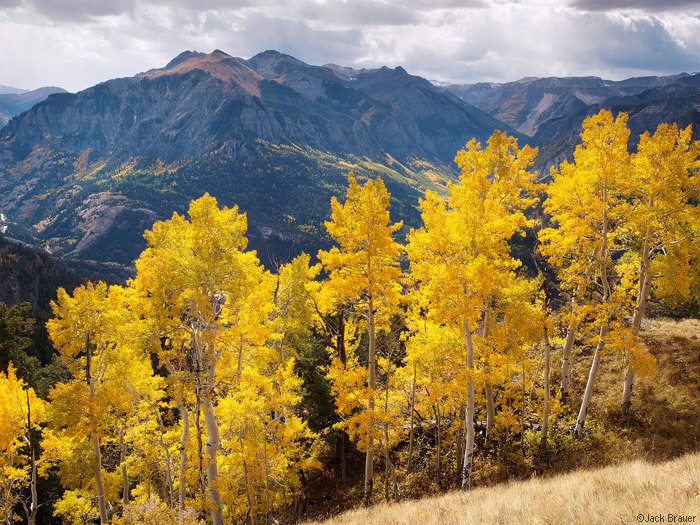 Aspens look like they are prime…I’ll be cruising through in about 2 weeks!! These are great. The first one is so lifelike it’s unreal. You really are a true master of post processing.